This morning in metals news, Chilean miner Antofagasta expects a copper deficit this year, Polish lawmakers have proposed slashing the country’s mining tax and hackers have targeted Norwegian aluminum maker Norsk Hydro. Chilean miner Antofagasta forecasts a 2019 copper deficit ranging between 100,000 and 300,000 tons, Reuters reported. “When we talk about the deficit, I don’t think it’s going to be a big one… it’s probably in a range between 100,000 and 300,000 tonnes,” CEO Iván Arriagada was quoted as saying. According to another Reuters report, Polish lawmakers are considering cutting the country’s mining tax. 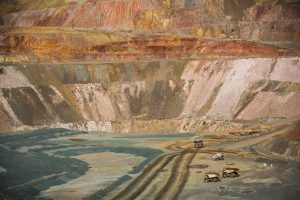 The tax — introduced in 2012 — primarily affects copper and silver producer KGHM, which is a major employer in the country, according to the report. The news turned from the announcement of a new Norsk Hydro CEO Monday to hacking on Tuesday. According to Reuters, the Norwegian aluminum maker suffered an attack by hackers that forced several plants to go offline.